Stake your claim on Spinland, the casino where everything you need for great casino entertainment is one click away! In fact, Spinland is propelled by one of the best casino platforms available on the market, White Hat Gaming. Which means you’ll have access to many easy to use payment methods like Skrill, Visa, Trustly, MasterCard, Sofort, Paysafecard and Neteller in a 100% secure environment. Plus, you’ll play under the watchful eye of the UKGC. Spinland offers an excellent selection of games that everyday pleasure seekers and high rollers will adore. In fact, this casino has associations with several award-winning providers like Play’n Go, Evolution Gaming and NetEnt. And, if you’re a high roller, you’ll adore that from the moment you create your account you can not only claim an excellent welcome bonus, but you’ll also have the opportunity to sign up to the VIP Program. Spinland Welcome Bonus is one of the best! And it’s clear that this casino caters for all types of players since players can deposit and claim up to £3000 in bonus. Let’s be frank it’s quite generous since most casinos cap the maximum bonus at around £200. So, if you decide to take advantage of the full offer, you’ll play with £6000 on top of whatever you win with your 50 Free Spins on Starburst. And if that’s not enough, you can also claim a bonus on your second and third deposit. 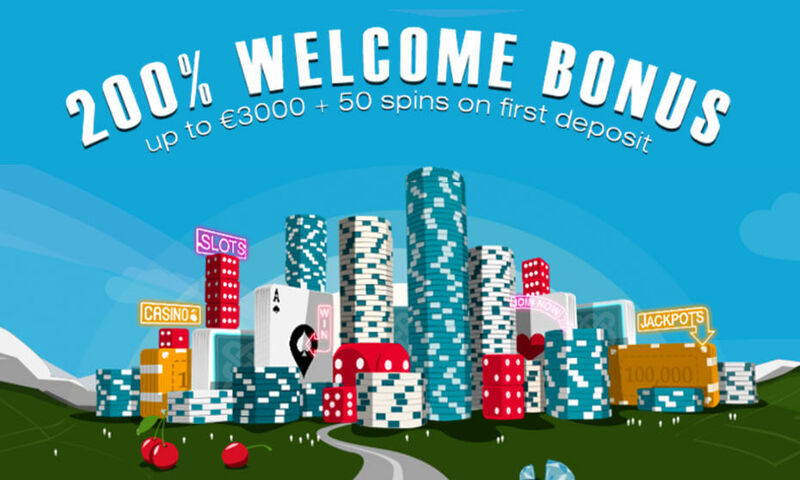 The second bonus will give you 50% more money up to £250 plus 100 Bonus Spins on Gonzo’s Quest. And the third and final welcome offer you can claim is a 100% bonus up to £250 with 50 Free Spins on Reel Rush. What’s important to know about SpinLand and the Bonuses? SpinLand Welcome Bonus comes with standard terms and conditions. So, let’s not complicate things, here are the guidelines you need to follow to avoid complications. The wagering requirements of 35x are applicable on the bonus funds, the money you deposit and the winnings from the Free Spins. The minimum deposit required to take advantage of this offer is £20. As you turn over the bonus, the maximum amount you can bet is £5 per spin. You’ll need to complete the wagering requirements of the first deposit offer within 30 days. Plus, you’ll have 72 hours to use your Bonus Spins. That’s more or less the essential terms you’ll need to respect to avoid any complications. But we always encourage players to read the full terms and conditions since they can change from time to time. SpinLand gives you a cool 500 loyalty points when you make your first deposit, and that’s even if you’ve not opted-in to the VIP program. Also, keep in mind that you can exchange your points once you’ve met the threshold for bonus funds. After reaching 1000 loyalty points in a month, you’ll automatically enter the draw to escape to the “Land of Prizes” that could take you to South Africa on a lifetime Safari! So, why not play your favourite games for a chance to explore Africa and meet the big five. Have fun!